Since 2013, federal regulations have required all new production trucks to comply with Reduced Stopping Distance (RSD) guidelines (FMVSS-121). That means that loaded trucks now need to stop within 250 feet, versus the historic 355 feet. On average, that’s a 30 percent reduction in stopping distance. The technical details aren’t important, but you should know this new mandate was achieved by increasing the surface friction on the rear axle (and sometimes the front axle, too), and using a better performing friction material on the brake shoe. Two of our valuable supplier partners are leading in the development of RSD friction material – Bendix and Meritor. The reduction in property damage and injuries could result in fewer insurance claims for operators, or at least reduced liability on the claims. 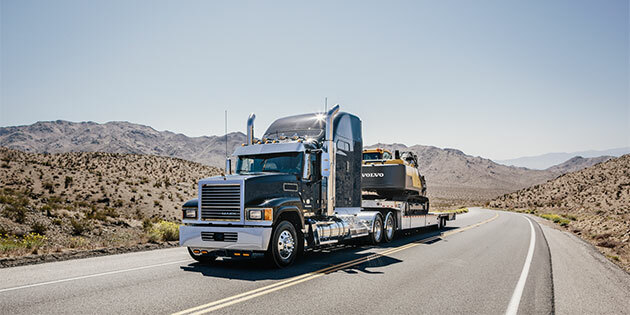 Long term, this may reduce insurance rates for owner-operators and fleets. Perhaps the most impactful statistic, though, is that the study states the new requirements will save 227 lives annually and, in addition, prevent 300 serious injuries. Clearly, the cost to remain RSD compliant is relatively low when purchasing replacement shoes and drums, especially when you consider what is at stake. Know the parts you are putting on your truck. If your vehicle is a 2013 model or newer, keep it compliant with new stopping standards by replacing RSD friction material with like material. If you work with a fleet and control parts, make sure your bids are inclusive of the new friction in the market. In addition to friction, be sure you have a brake drum that can stand up to the wear and tear of RSD friction. Remember, lighter-weight “value” drums may wear out faster under certain circumstances and need more frequent service. If you have questions, contact your local Mack dealer for clarity.